The traditional understanding of intelligence assumed that our ability to learn and do things comes out of a uniform cognitive capacity. Howard Gardner breaks away from this one dimensional way of looking at intelligence and developed the Multiple Intelligence Theory. Multiple intelligences are a complex way of understanding the intellectual capacity of the human mind. Cognitive scientific research, developmental psychology and neuroscience suggest that each person’s level of intelligence is actually made up of autonomous faculties that can work individually as well as in combination with other faculties. Howard Gardner calls these faculties intelligences. What are the potential drawbacks of categorizing students by learning style and intelligence strengths/weaknesses? This is a very complex field but in regards to the impact on the instructional design of my course the knowledge of the MI theory can support in the choice of how to deliver the learning material. Gardner offer a set of criteria for what counts as an intelligence, data that speak to the plausibility of each individual intelligence, and methods for revising the formulation. Do I use visuals, auditory features, motion pictures or different colors? Identifying the strengths of intelligences of a learner will certainly allow me to present the material in a suitable manner. Hence, we are at the point of defining the goal or learning outcome again. Cognitive processes constructing new knowledge with respect to multiple intelligences however, cannot always provide the answer to which extent a learner should know or be able to learn at a certain age or with regard to the subject. Neuroscientists criticize that Gardner talks of a hypothetical mental process, rather than presenting objective scientific data in the neural control of behavior. If I have a set of learners who have been measured highly musically intelligent, it seems rather apparent to establish a relevance or analogy to musical context for the learner in order to develop a suitable learning strategy for these learners. But I think the actual knowledge or the recognition of these multiple intelligences will certainly play a part in identifying learning strategies of any learner. What considerations will you need to keep in mind in your ongoing quest to understand learners as unique individuals and provide them with the highest quality of instruction? – Concrete and abstract perceivers the learner processes information through direct experience, by doing, acting, sensing, and feeling. – Abstract perceivers process information through analysis, observation, and thinking. – Active and reflective processors—Active processors connect the new information to a former experience by immediately using the new information. – Reflective processors process information of an experience by reflecting and thinking about it. Student historic data may also provide important information about a student’s multiple intelligences. A deep investigation of learning skills on former data would be the perfect solutions to detect a certain tendency in which way a learner can actually process the knowledge. By identifying learning weaknesses as well as strengths the design and content of the course can be adjusted to the learner’s needs. Overall, looking at the learning theories in combination with each other, or supplementing one another, or even acting on their own could provide the utopian learning solution. For an adult learner these cognition principles can help determine what type of learner one may be. In Adult Learning Theory one of the claimed key principles is, that adults need to feel and be aware of which method creates successful learning (visual, auditory), and processing certain stimuli. I believe by identifying which intelligences are more dominant than others will contribute in defining the learning outcome of a specific learning material and hence will assist in creating a suitable course for any learner. Gardner’s approach certainly offers a multidimensional understanding of the human minds in regards to exploring learning strategies. Gilbert, J. E., & Swanier, C. A. (2008). Learning Styles : How Do They Fluctuate ? Learning, 1(1988), 29-40. Helding, L. (2009). 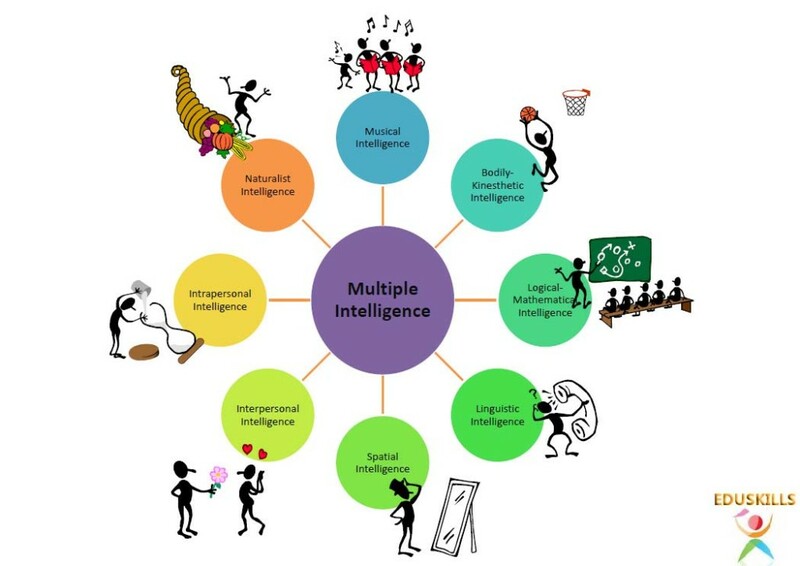 Howard Gardner’s Theory of Multiple Intelligences. Journal of Singing, 193-200.